After an eleven years, poet Naomi Shihab Nye returns to Ashland on Monday, February 13, 7:30 PM, to speak at Ashland High School’s Mountain Avenue Theatre. Sponsored by Chautauqua Poets & Writers, Nye also will give workshops to Rogue Valley teachers and high school and college students. She will be interviewed by Geoffrey Riley on JPR’s Jefferson Daily. Naomi Shihab Nye has spent 40 years traveling the world to lead writing workshops and inspire students of all ages. Nye was born to a Palestinian father and an American mother and grew up in St. Louis, Jerusalem, and San Antonio. Drawing on her Palestinian-American heritage, the cultural diversity of her home in Texas, and her experiences traveling in Asia, Europe, Canada, Mexico, and the Middle East, Nye uses her writing to attest to our shared humanity. Naomi Shihab Nye has written or edited over thirty-five books. Her most recent poetry books are Tender Spot: Selected Poems and Transfer. Other recent books are There Is No Long Distance Now, a collection of very short stories for teenagers, and The Turtle of Oman, a novel for elementary readers, which won a 2015 Middle East Book Award, and was chosen a Notable Children’s Book by the American Library Association. She has written or edited eight prize-winning anthologies of poetry for younger readers, including A Maze Me: Poems for Girls. She is the author of the novels Habibi and Going, Going, and the picture book Sitti’s Secrets. Her poetry collection 19 Varieties of Gazelle: Poems of the Middle East was a finalist for the National Book Award, and her collection Honeybee was awarded an Arab-American Book Award in 2008. Naomi Shihab Nye is the two-time winner of the Jane Addams Book Award for Peace & Justice, and has traveled abroad as a visiting writer on three Arts America tours sponsored by the United States Information Agency. Nye has read her work on A Prairie Home Companion, and was featured on two PBS poetry specials including “The Language of Life with Bill Moyers.” She is a past member of the Board of Chancellors for the Academy of American Poets, and was named laureate of the 2013 NSK Neustadt Award for Children’s Literature. 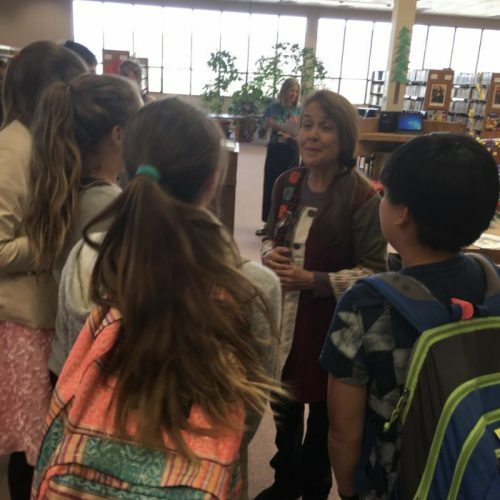 Chautauqua Poets & Writers is supported by Friends of the Ashland Public Library, Ashland School District, SOU Division of Humanities and Culture, Jackson County Cultural Coalition of the Oregon Cultural Trust, Oregon Humanities, Curry Stone Foundation, and individual contributors. Advanced tickets for “An Evening with Naomi Shihab Nye” can be purchased at Bloomsbury Books and Bookwagon in Ashland for $15; reserved seats for $20 online through www.chautauquawriters.org. Students with ID can buy tickets for $12 at Ashland High School. General admission and student tickets will be available at the door the night of the performance.